Some country rock for you. Here is a new artist for us here at CML. 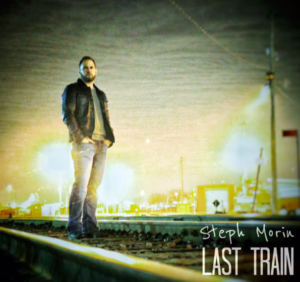 Steph Morin looks to be working on making his way in the music world. I think he’s from Canada and there have been some really great artists from our neighbor to the north over the years. Rockers. Country singers. Pop singers. All kinds. And it’s pretty cool. Some of my favorite country artists and country songs have come from Canada. Here is the latest from Steph Morin. You can definitely feel the rock influence on this one. But that fits in well with what’s been going on with country music for a long time. Garth really turned up the rock in the early ’90s. That influence continues today with artists like Jason Aldean and Brantley Gilbert. I remember watching a Keith Urban concert several years ago with a guy that loved rock and roll and he said that it was one of the best rock shows he’d ever seen. I’m still listening a few times to the lyrics. I can’t tell if it’s a leaving song or a love song. It could be that the guy has feelings for this woman. Things have been going well, but he’s not sure if things will work out so he’s gotta move on. Or it could be that he’s ready to take the next step and he’s hoping that the woman will be ready to take that step with him. No more waiting around. Steph has a great sound!